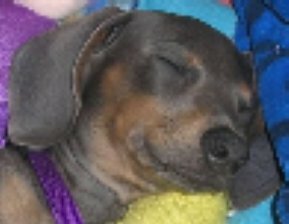 This little dog has got the art of being cute down to a 'T.' Only 8 months old, she's as bouncy as you'd expect a puppy to be. She wouldn't sit still until I make squeaky noises which made her sit up and take notice. 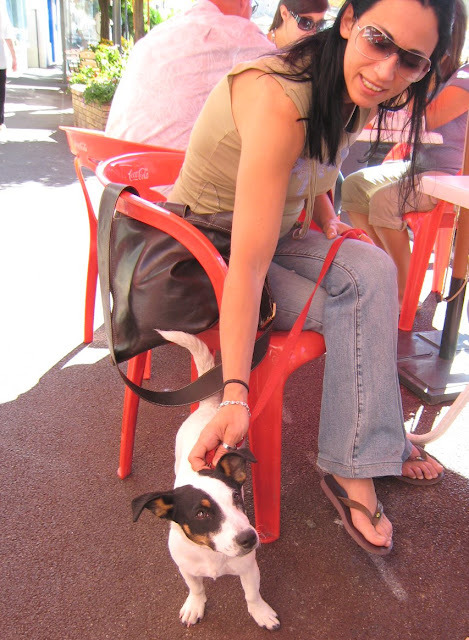 Here she is with her owner outside a café in Carnoles, which is a suburb of Roquebrune-cap-Martin. 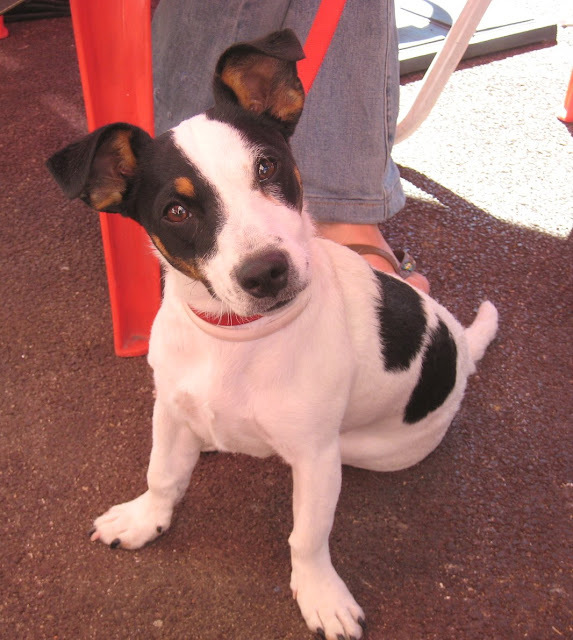 I could see this snappy fello on the TV advertising dogfood etc - real cute and tons of personality.